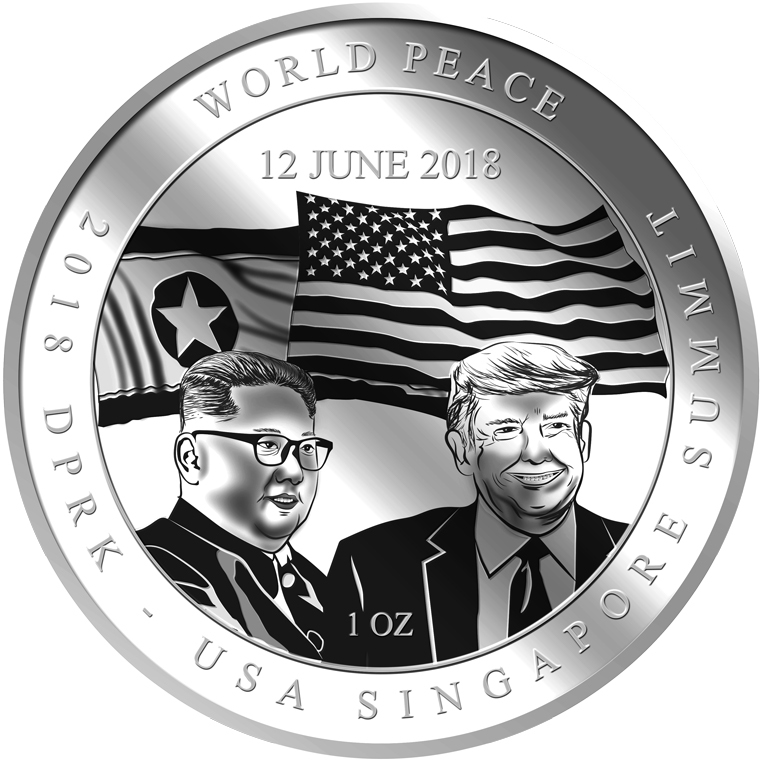 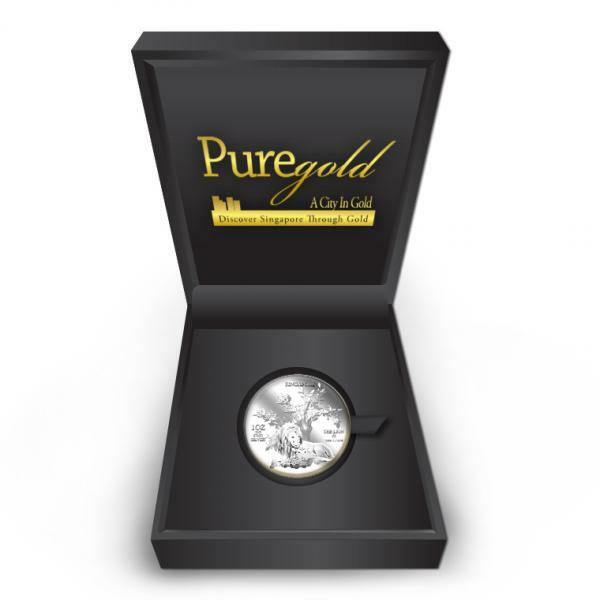 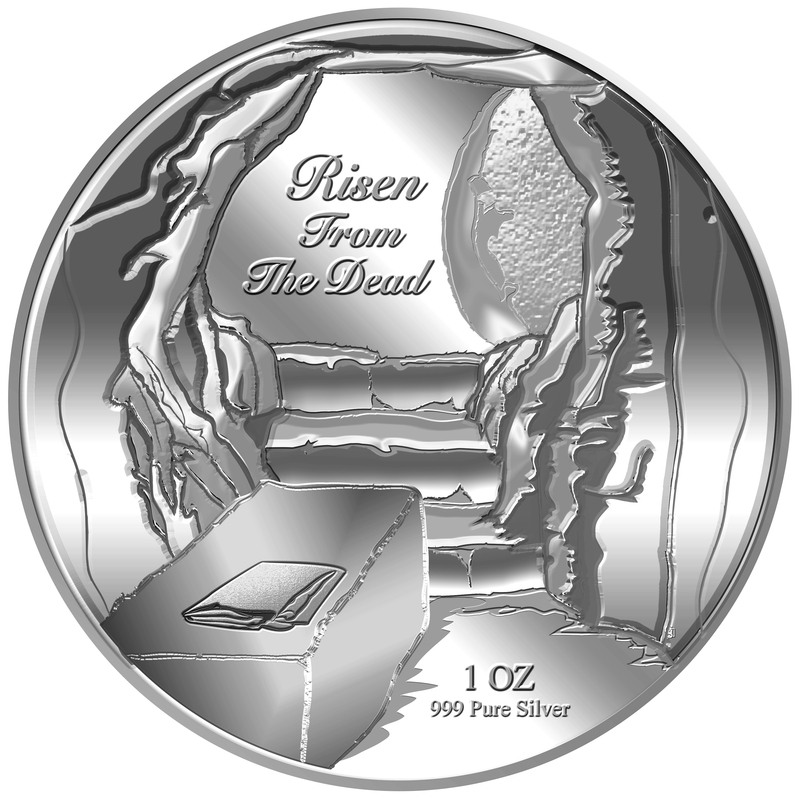 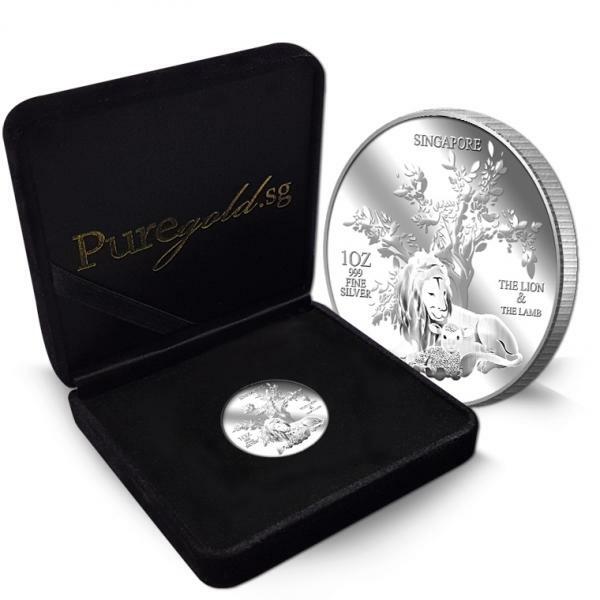 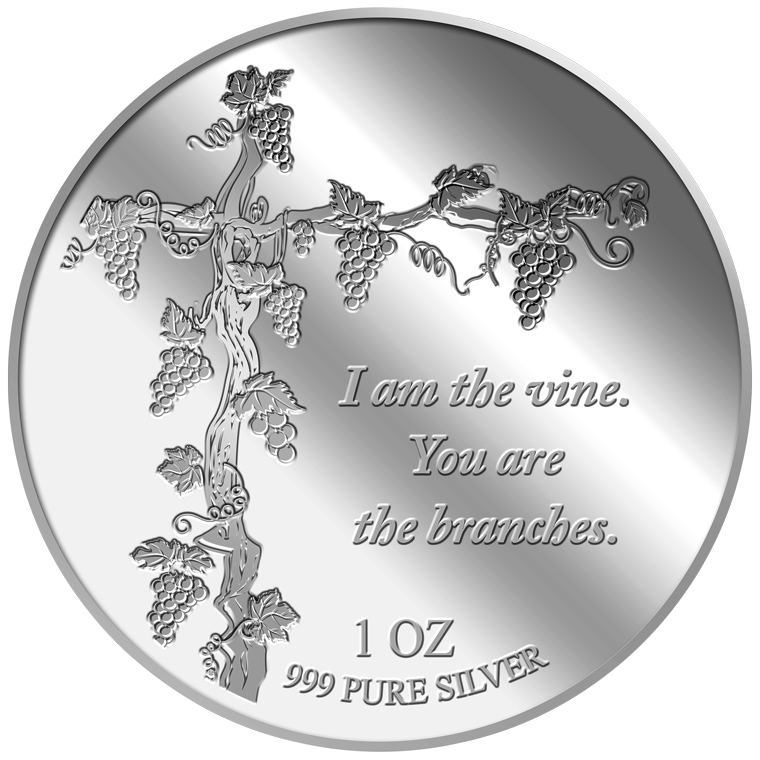 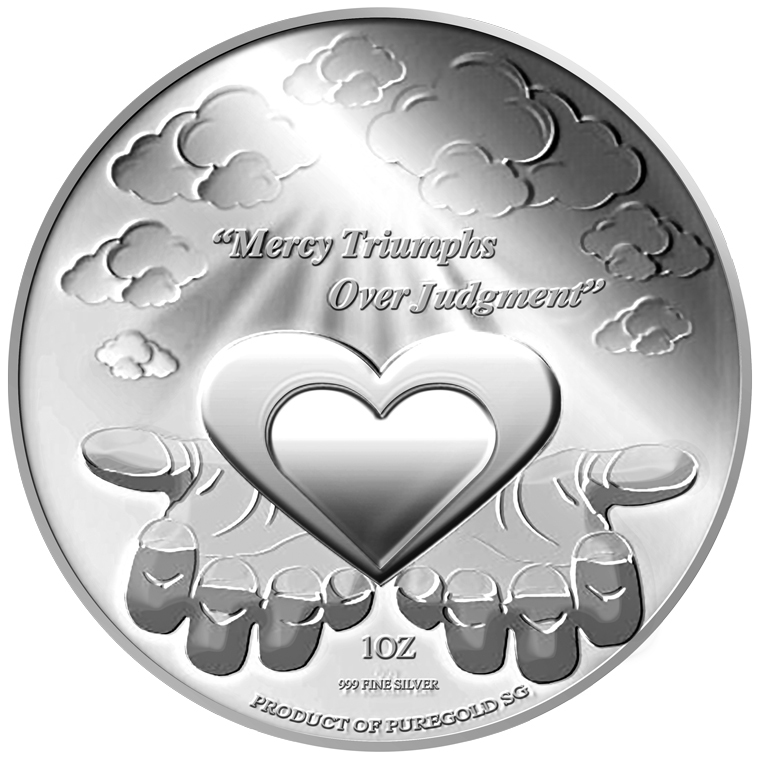 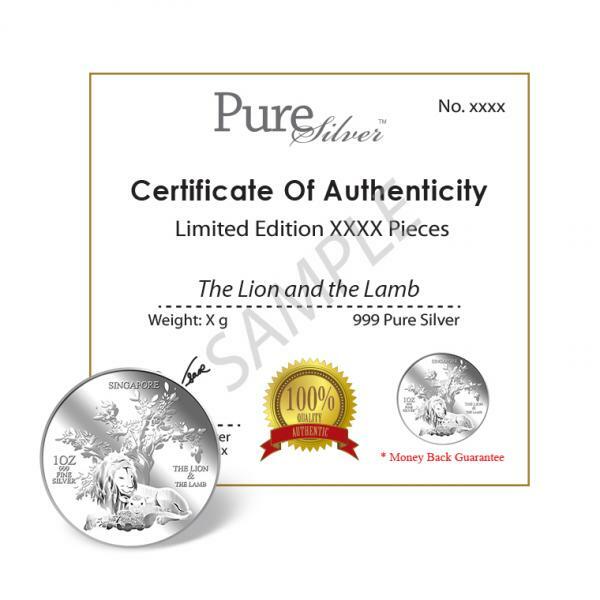 The images of The Lion & The Lamb are embossed on a 1oz 999 fine silver medallion. 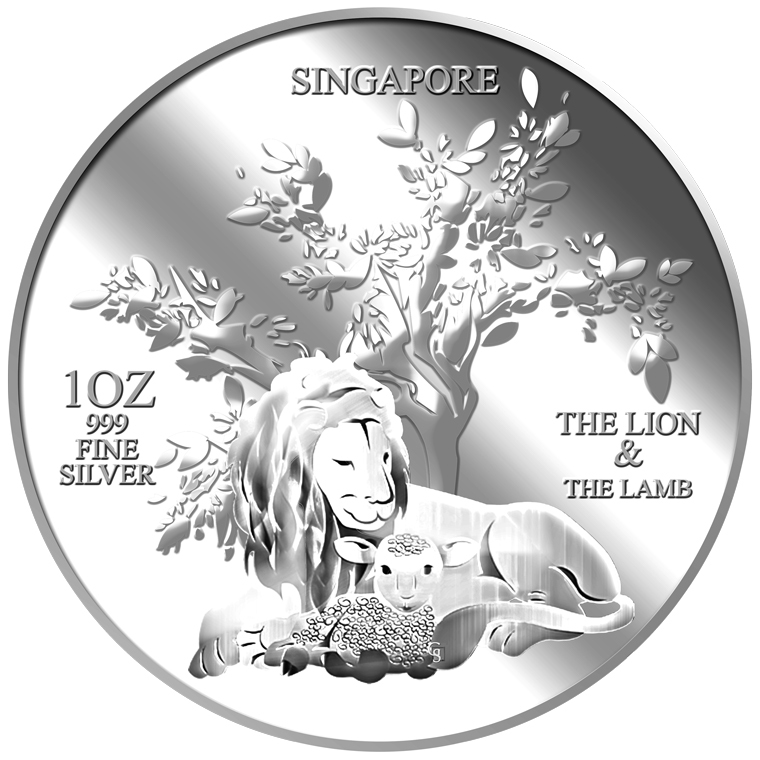 The Lion & The Lamb silver medallion design portrays a beautiful image of a lion and a lamb resting peacefully together in front of a tree. 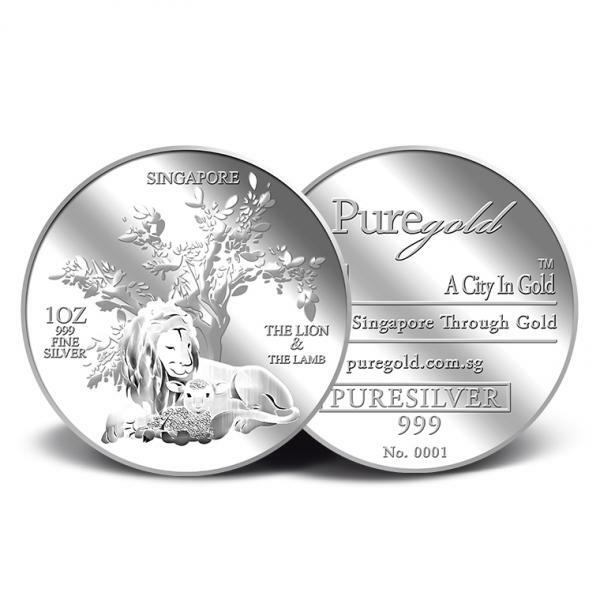 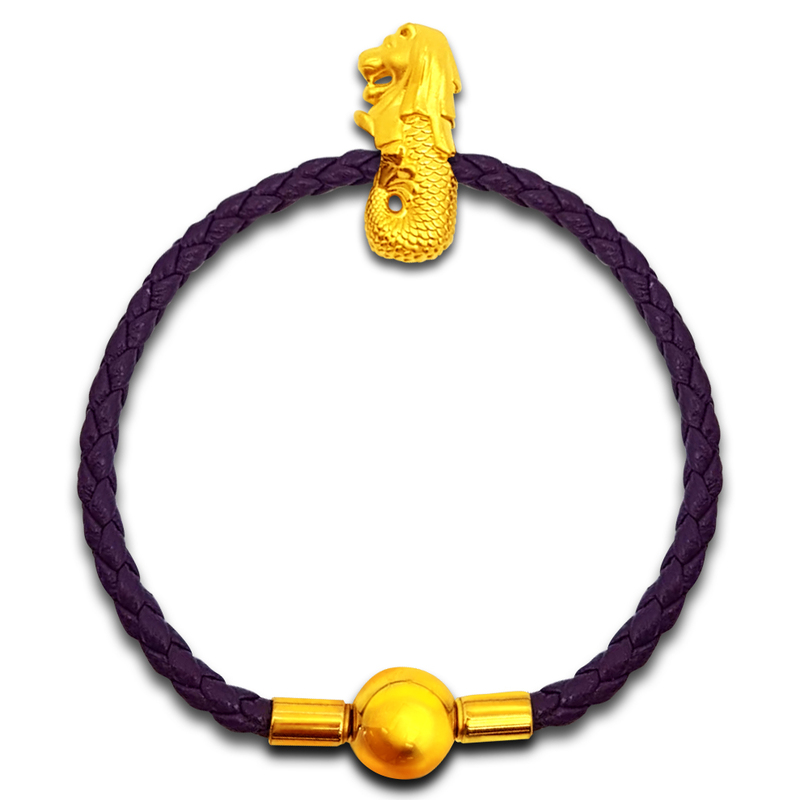 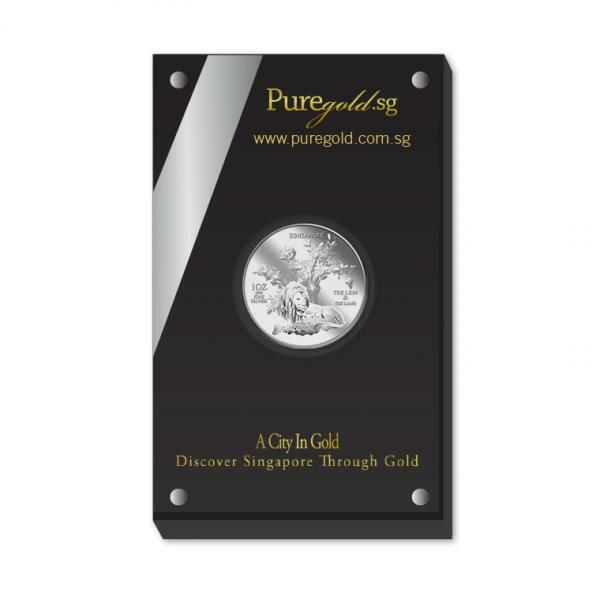 The design also includes the inscription THE LION & THE LAMB, SINGAPORE, the medallion’s weight and GoldSilver Refinery’s “GS” logo mark.